Duniyase jaanewaale, jaane chale jaataa hain kahaa…. How true words but life is a journey and every journey has a destination. The destination of human life is death and nobody can deny this utter truth. Like each year this year too Indian Cinema lost some of its great starlets. Raaga.Com takes you through the unfortunate deaths in the year 2014. The year began with demise of Bengal beauty and great actress Suchitra Sen, who starred in many memorable Hindi and Bengali films like 'DEVDAS', 'MAMTA' and AANDHI. She died at the age of 82 due to cardiac arrest. The other veteran actress and star of 60’s Nanda bid adieu at the age of 75-year. She did many hit movies like CHHOTI BEHAN, JAB JAB PHOOL KHILE, HUM DONO, KANOON, ITTEFAQ, GUMNAAM etc. Comedian Deven Varma, best known for his intelligent and situational comedy died at the age 78. 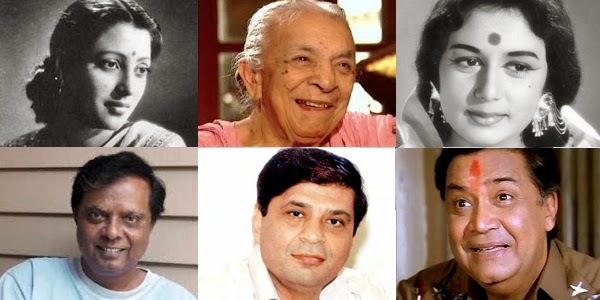 Famous for hit films like CHORI MERA KAAM, ANGOOR, KHATTA METTHA, ANDAAZ APNA APNA etc the film industry paid rich tributes. Sadashiv Amrapurkar, who rose to fame with his role of Rama Shetty, the underworld goon in ARDH SATYA died at the age of 64 at a hospital in Mumbai. Mahesh Bhatt, who worked with him in SADAK in which Sadashiv had memorably played Maharani, a transgender villain, took to micro-blogging site Twitter to express his condolence. Zohra Sehgal, the grand old lady of Bollywood, who became famous after she played Amiatbh Bachchan’s mother in CHEENI KUM, breathe her last at the ripe age of 102 years. Eminent filmmaker Ravi Chopra, who produced renowned TV serial MAHABHARAT and made Amiatbh Bachchan starrer BAGHBAN, died due to severe lung ailment at the age of 68. He was the first film maker to import international technology with his film THE BURNING TRAIN. Filmmaker Balu Mahendra, best known for his Sridevi-Kamal Haasan starrer Sadma, died at the age of 75. Balu Mahendra had won five National Film Awards—two for cinematography, three Filmfare Awards South and numerous state awards from the governments of Kerala, Karnataka and Andhra Pradesh. 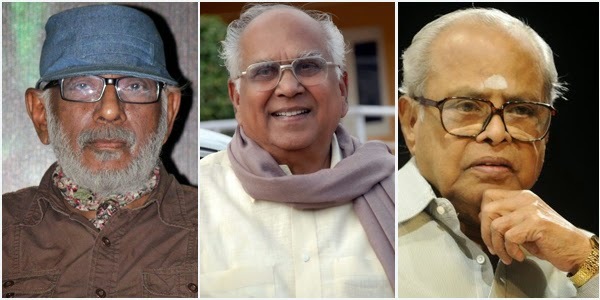 The year concluded with death of Dadasaheb Phalke awardee K Balachander, the filmmaker who lunched multiple talents like Rajinikanth, Kamal Haasan, Sridevi, Prakash Raj, etc. He was 84.